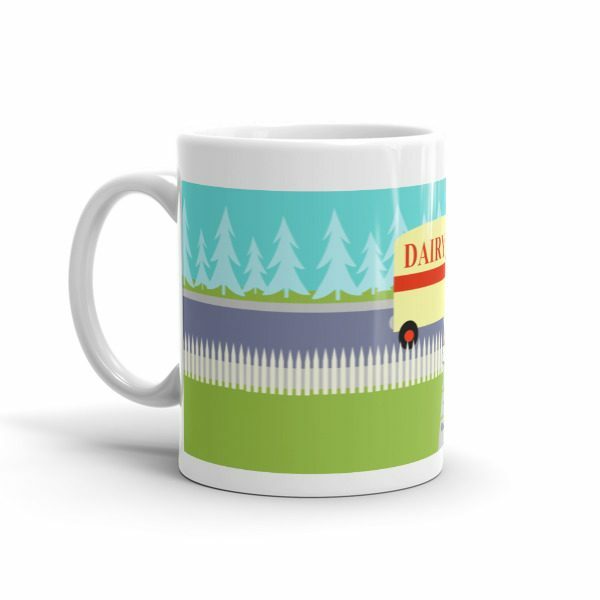 If you have a thirst for a mid century modern design, this Retro Small Town Milkman Mug is for you! 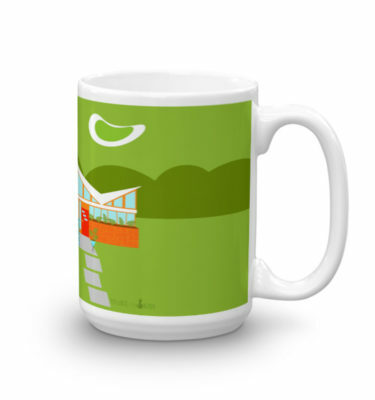 The 1960’s style, minimalist art design features a dedicated, milkman making his morning rounds. The blond man is wearing milky white pants, shirt and hat with a black bow tie, belt and shoes. 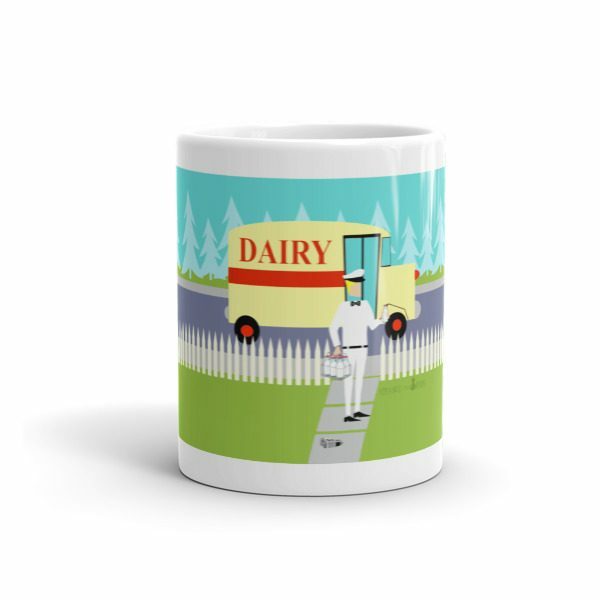 This delivery man of calcium and Vitamin D is walking up a front sidewalk, carrying a family’s weekly supply of wholesome, fresh milk in glass bottles. The morning newspaper is still on the sidewalk. Don’t worry. Only good news is allowed in this town! The sidewalk is surrounded by the type of green lawn only found in small towns and suburbia. 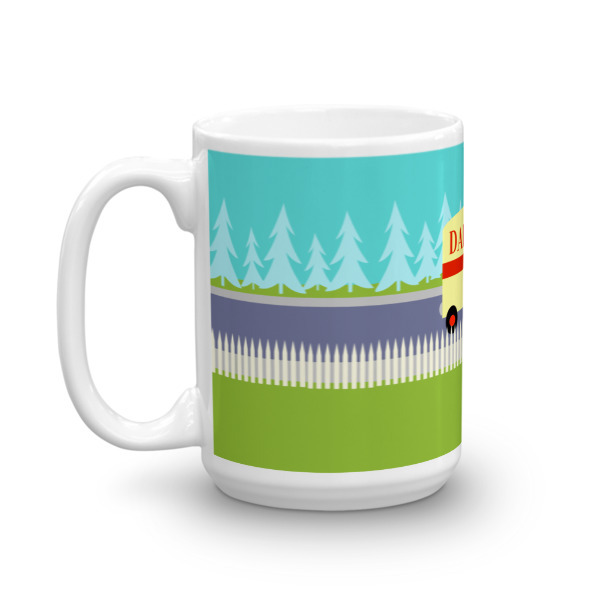 There is also a white, picket fence. 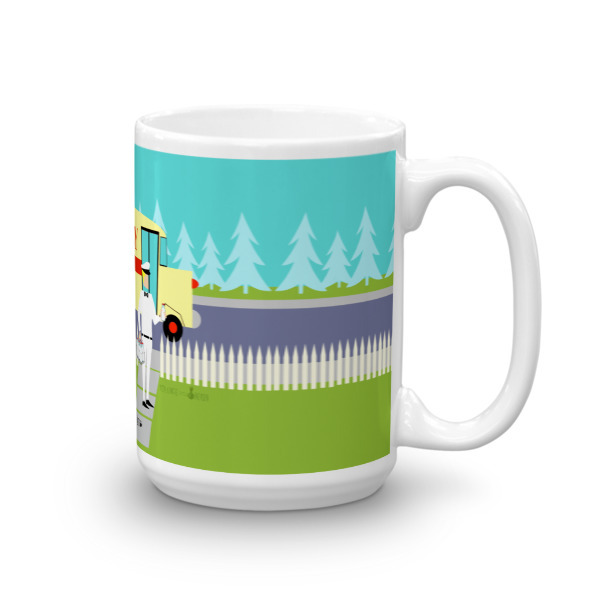 In the street, we see the milkman’s sweet ride! 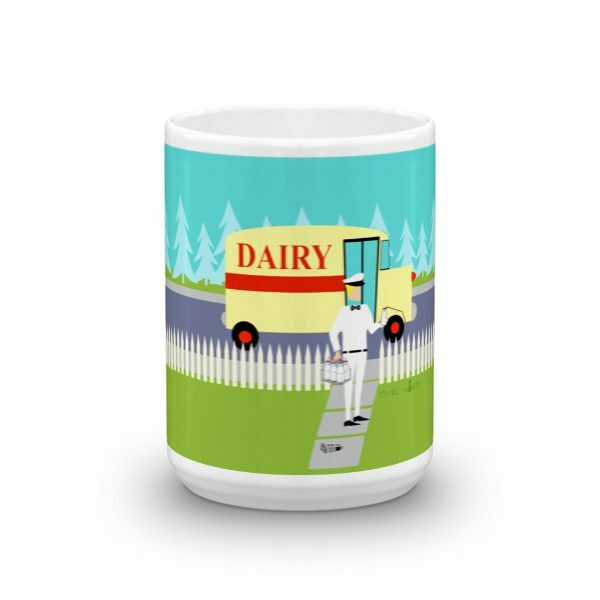 It’s a creamy yellow, milk truck with a red stripe on the side and red lettering that says, “DAIRY”. On the opposite side of the street, we see an aqua sky and the light blue silhouettes of cedar trees. 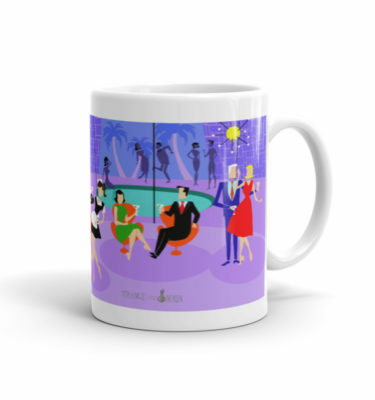 This kitschy cartoon looks like a scene out of an old television sitcom. Bring on the yellow cake with chocolate frosting–the official cake of all television housewives and their fortunate families! Building strong bones never tasted so good! 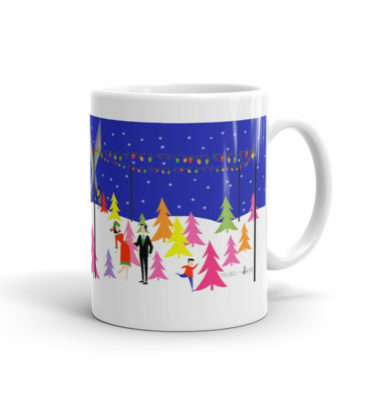 This sturdy white, glossy ceramic mug is an essential to your cupboard. 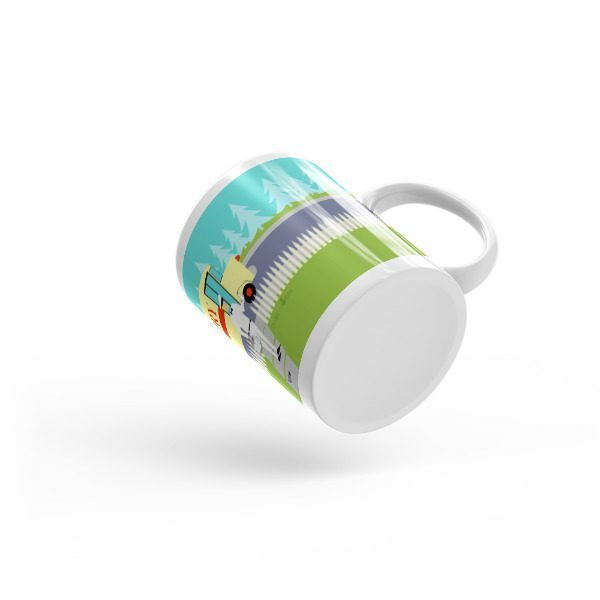 This brawny version of ceramic mugs shows its true colors with quality assurance to withstand heat in the microwave and put it through the dishwasher as many times as you like, the quality will not be altered.